Advanced Registered Nurse Practitioner (APRN) is a nurse, who has successfully completed his/her post-graduation in the nursing field. They are registered nurses with advanced skills, knowledge, education, and scope of practice. All APRNs utilize their extended and expanded skills, experience and knowledge in diagnosing and assessing the patients, and preparing and implementing the care plans. They can function as a consultant, educator, case manager, researcher, or direct care provider. They are commonly known as Advanced Registered Nurses (ARNs) or Nurse Practitioners (NPs). Should be compassionate, confident, caring and adaptable. Must own exceptional leadership and organizational skills. Must be competent to deal with people of different age groups. Should have knowledge of computers and technology. Excellent interaction skills are also compulsory. Must have the ability to analyze and solve the problems. Possess excellent physical and emotional stability. Should be willing in pursuing additional clinical and academic program. Must have critical thinking, decision-making and observation skills, along with high energy level and good stamina. Successfully complete BSN (Bachelor of Science in Nursing) or ASN (Associate Degree in Nursing) in order to reach your goal of Masters of Science in Nursing (MSN). 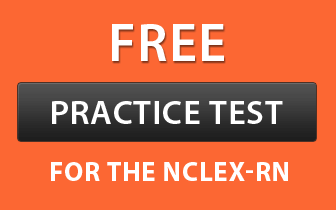 Pass the licensure exam, NCLEX-RN (National Council Licensure Examination for Registered Nurses). Hold a valid RN license. How to Become an ARNP? Follow the below given steps to grow into an advanced registered nurse practitioner. The initial step is to pursue a Bachelor of Science in Nursing (BSN) for entry-level positions from a state recognized college or university. This coursework enhances your knowledge in areas, like pediatric care, mental health, pharmacology, health assessment and psychiatric studies. After receiving bachelor’s degree, apply and take the licensure exam, i.e. the NCLEX-RN to become a registered nurse (RN). It generally takes 2-3 years to complete the RN certification. In addition to this, the candidate must possess at least 1 year of professional clinical nursing practice. Obtain a master degree in nursing, which allows you to specialize in one major area, such as women’s health, pediatrics, geriatrics or family care. It takes a minimum of two years to acquire master’s program in nursing. American Academy of Nurse Practitioners (AANP) or the American Nurses Credentialing Center (ANCC) in the US. These organizations do not offer certification in specialties, like adult practice, gerontology and family practice. It’s essential to renew the certification after every 5 years by completing continuing education and clinical practice. The average yearly salary for ARNPs is $91,099 (6 May 2018,payscale.com). As a beginner, you may get a starting pay of $64,400. Like all other professions, the pay rate generally advances as the years of employment increases. Your salary may reach up to $92.000 after some years. Diagnosing and curing severe illnesses, infections and injuries. Noting down prescriptions for the patients, including their frequency and dosage. Providing knowledge to the patients regarding the management of their health, making recommendations and designing treatment plans to cure their illness. Examining and tracking the symptoms, medical histories and diagnoses of the patients. Directing the patients about side effects and medications. Coordinating the patient care with other physicians and fellow nurses of the healthcare team. Depending on the patient’s situation, consult him/her to the right physician or healthcare provider. Making patients aware of their health status, and in case, they are not able to do this, these professionals are required to teach and counsel their health situation to their family members. If you are continuing your nursing practice independently, i.e. you are not employed in hospitals; you may also provide consultancy services. You may administer, prescribe and dispense medications if you are in alliance with a certified physician. You may also recommend therapeutic devices. According to the U.S. BLS (Bureau of Labor Statistics), the job opportunities for advanced registered nurse practitioners may increase by 34 percent from 2012 to 2022. This results in approximately 37,100 new jobs across the country. Majorly, there will be a huge demand in medically underserved areas, like rural areas and inner cities. Thus, if you wish a stable, secured career and love to help others, you can definitely go for this career.